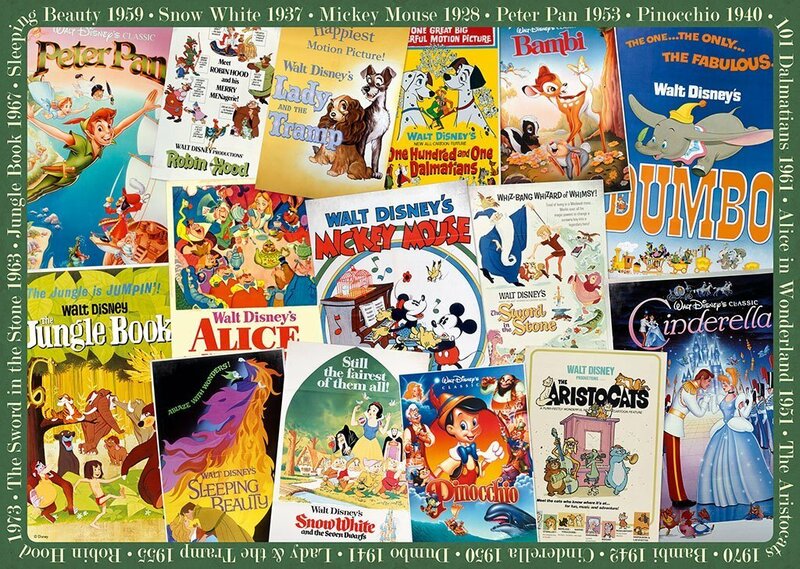 These nostalgic film posters will bring back happy memories of classic Disney films. 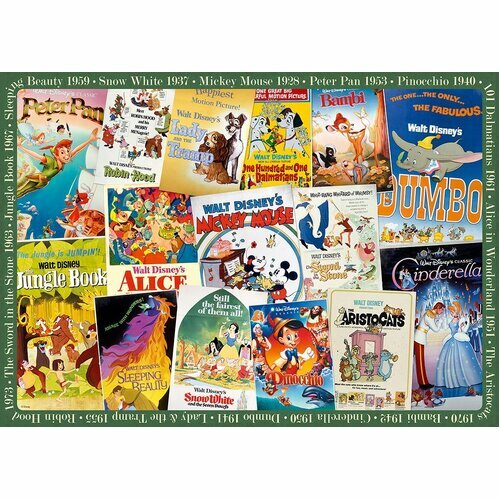 Starting in 1928 with Mickey Mouse, through to the 1930s. 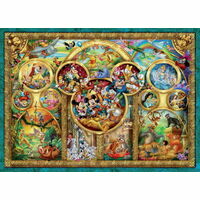 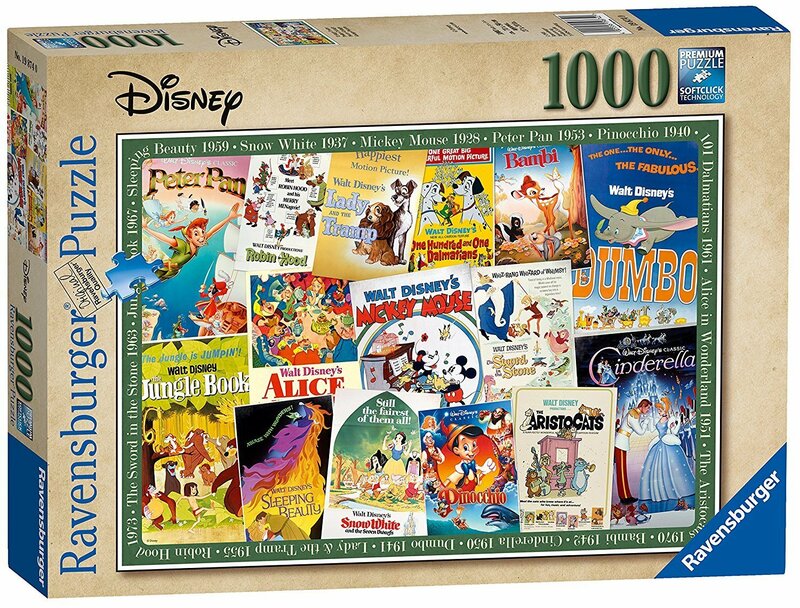 Find your favourites, including Dumbo, Cinderella, The Aristocats, Peter Pan, The Jungle Book, Bambi, 101 Dalmatians and so many more. 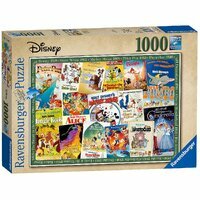 This puzzle will really remind you of your childhood, where you spent happy days reading these classic disney books and watching the movies.